Native plants define the look and geography of our distinctly beautiful region. They are the foundation for healthy ecosystems and sustainable landscapes. For the past four years the Santa Barbara Botanic Garden has been honored to be a part of the Santa Barbara Beautiful Award Program through its Native Choice Award. Created to recognize leadership by an individual or organization in the use of California natives in designed landscapes, the award seeks to encourage the use of native plants in our home gardens and public spaces. This year, it is our pleasure to bestow the 2017 award to the City of Santa Barbara Public Works Department. 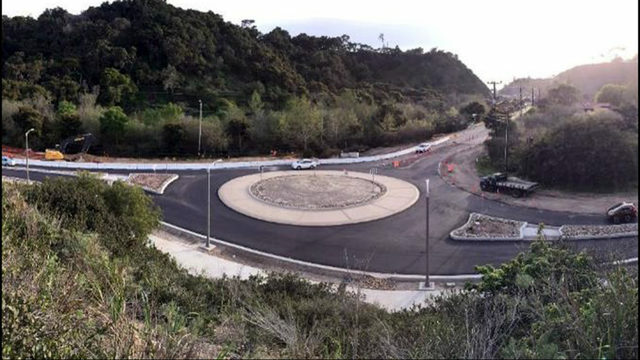 The newly installed Las Positas-Cliff Drive Roundabout is located at the confluence of three natural landmarks: Arroyo Burro Creek, Elings Park and the Douglas Family Preserve. It serves as a gateway to coastal access for thousands of Santa Barbara visitors and residents. 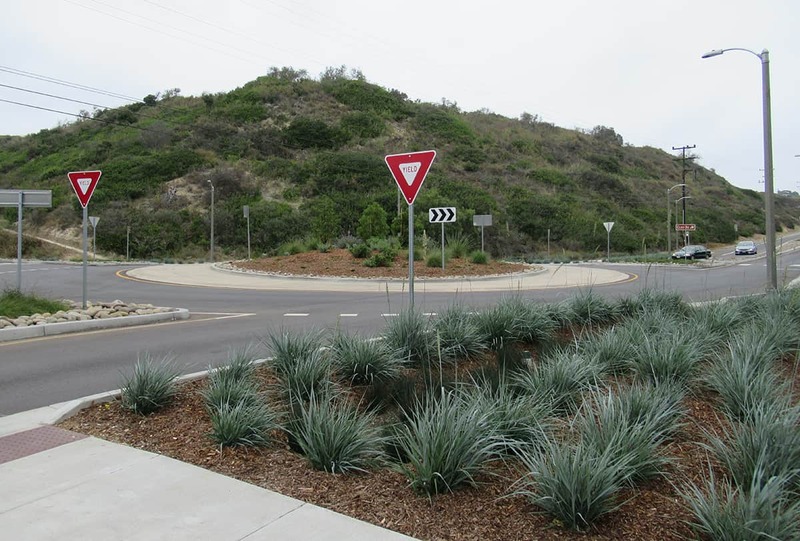 First programmed as a street improvement project in 2002, work on this busy intersection accelerated in 2014 when the City contracted with Kittelson & Associates to complete the final design for the roundabout with David R. Black & Associates providing the landscape design in collaboration with the Santa Barbara Parks and Recreation Department staff. 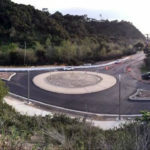 This unique roundabout is surrounded by natural coastal habitat and it complements its setting with beautiful native plantings and aesthetic treatments. The plant palette incorporates drought tolerant trees, shrubs, ornamental grasses, and ground covers that grow well in our region: Catalina ironwood, John Dourley and emerald carpet manzanita, Cleveland sage, deer grass, canyon prince giant rye, and California gray rush, to name a few. The roundabout incorporates best practices for water conservation through its use of a drip irrigation system using recycled water. 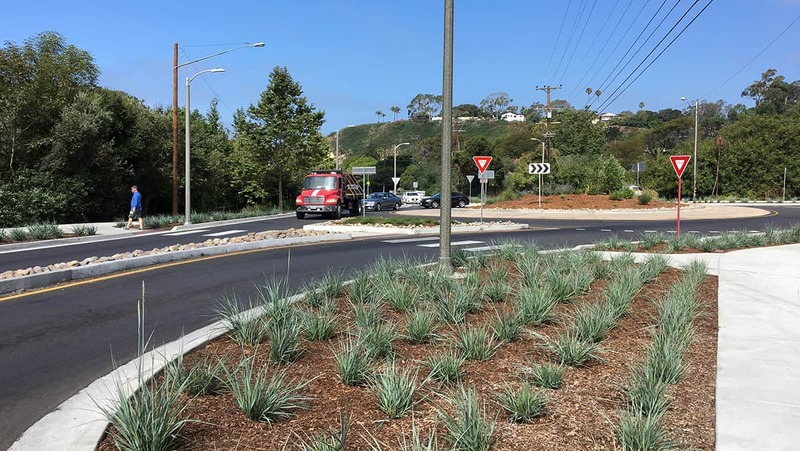 Its design also captures storm water runoff, allowing it to infiltrate into the ground, helping to recharge our groundwater supplies and keeping pollutants out of Arroyo Burro Creek. 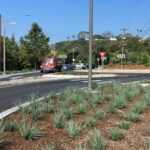 Congratulations to the City of Santa Barbara—we hope to see more projects like this in the future! This project had been a vision for a long time, and state funding was first programmed back in 2002. The relinquishment of State Route 225 in 2014 allowed the City to accelerate efforts to improve the intersection. 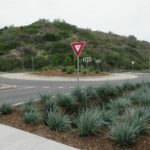 The City contracted with Kittelson & Associates to complete final design of the roundabout, and David R. Black & Associates served as the project’s landscape architect. The approximately $2.0 million project was funded with $750,000 of State Transportation Improvement Program grant funds, with the City funding the remaining costs.